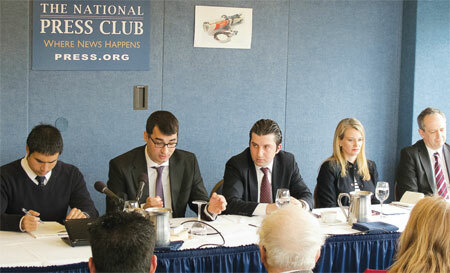 On March 27, 2013 Turkish Policy Center (TPC) of Washington DC and the Ataturk Society of America (ASA) hosted a panel discussion titled “Press Freedom & Rule of Law in Turkey: Current State & Future Prospects” at the prestigious National Press Club in Washington D.C. This event had over 70 participants. You can read below the highlights of each speaker’s speech at the event that was followed by a Q&A session. Countries in the Middle East are looking at Turkey. Turkey, as a leader in the region and a global actor should be held to a higher standard and should set an example for the other countries in the region. If the idea of a “Turkish model” is realistic, then Turkey should look to address its own issues, starting with freedom of expression. Freedom House has lowered Turkey’s civil liberties rating, Committee to Protect Journalists reported that Turkey has the highest number of imprisoned journalists in the world. 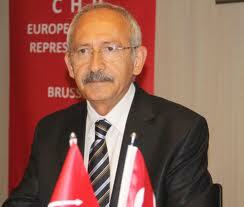 Many legal campaigns including Ergenekon seem to be politically motivated. The issues with freedom of press are directly tied to judicial independence and the judicial process. There are many shortcomings in the judicial process and in many legal cases of journalists and Ergenekon. The upcoming judicial reform package has a lot of work to do to address these issues. The attitude of the government towards journalists is another big issue. Firing of the critical journalists, the backchannel pressures on editors and publishers are known issues and make the media vulnerable to political pressure due to economic interests. This is the most worrisome part of the issue. A free press is first and foremost a mechanism for peacefully voicing grievances, a way to expose problems to public scrutiny so that they can be resolved. As the recent controversy with Ambassador Ricciardone showed, Turkey has to be more accepting of criticism and acknowledge its shortcomings. The West has to make sure it supports the development of a stronger civil society in Turkey, and that Turkey’s EU accession process is still alive. The expectation of Turkey joining the EU has resulted in reforms and we should make sure this process continues. This is a moment of opportunity; both for the people and the leaders of Turkey. We need to see a real desire on the part of Turkey’s leaders to fulfill the country’s democratic promise. Only by seizing this moment to become a more democratic, more inclusive state can Turkey realize its potential and become a true model in the region and beyond. There are two big threats to democracy, rule of law and press freedom in Turkey: The first is Prime Minister Erdogan’s repressive policies. The second is the followers of Fethullah Gulen, leader of a religious cult who is currently in asylum in the United States, illegally organizing in the police force and the judicial system. Erdogan publicly threatens journalists and media bosses. He calls out columnists, journalists and newspaper directors he doesn’t like, asking for their dismissal or asks his supporters to boycott newspapers who employ them. Many journalists and columnists who have opposing views with Prime Minister Erdogan either get fired, or get their articles censored. People who wrote about the illegal organization of Gulen’s followers in the police force, their use of illegal surveillance and creation of false evidence against defendants, were charged for terrorism. Anyone who talked or wrote about the involvement of groups tied to Gulen in legal cases such as Balyoz and Odatv was investigated. I, with other defendants I didn’t know, were charged with establishing a terrorist organization, because we were the target of the same group. The United States is ignoring the lack of rule of law and freedom of press because of its economic interests. The open support from the United States turned Turkey into a land of repression. There is no evidence that this illegal organization so-called “Ergenekon” ever existed. There is no evidence of a concrete coup plot. Much of the “evidence” in the indictment is self-contradictory, absurd and there are very strong suspicions that they have been altered. The same issue is evident in the Balyoz (Sledgehammer) case as well. There are strong suspicions of planting of evidence. The nature of evidence and conduct of investigation are dubious. There is also no mention of Ergenekon organization. All the “evidence” relating to the supposed coup is on just one CD. The fact that the entire investigation is based on a single CD burned in 2003 using Microsoft Office 2007, seems suspicious. There are very good reasons suspect all these legal cases are coming from a single source. Both cases look very similar in their nature, the personnel, the methodology, the lack of evidence and confessions. There are also a good number of reasons to suspect Fethullah Gulen to be behind these cases. All suspects are rivals of the Gulen movement, all the cases are revealed by journalists close to the movement, and that police and prosecutors leading the investigations are all close to Gulen. These cases intimidate everyone. People are afraid to be critical of the government and the Gulen movement. They fear tax fines, failure to get permits, or ending up in jail.